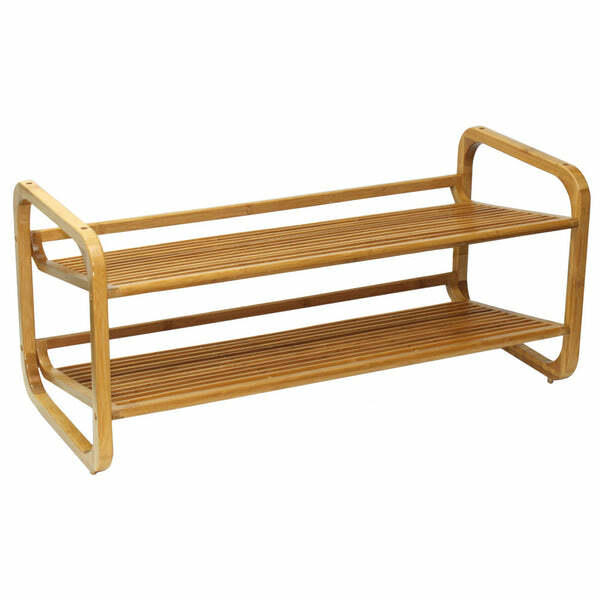 Oceanstar SR1224 2-Tier Bamboo Shoe Rack (closet, living room, oceanstar, shoe storage) | Shoe Rack | Oceanstar Design Group Inc.
Get organized with Oceanstar’s 2-tier bamboo shoe rack today! 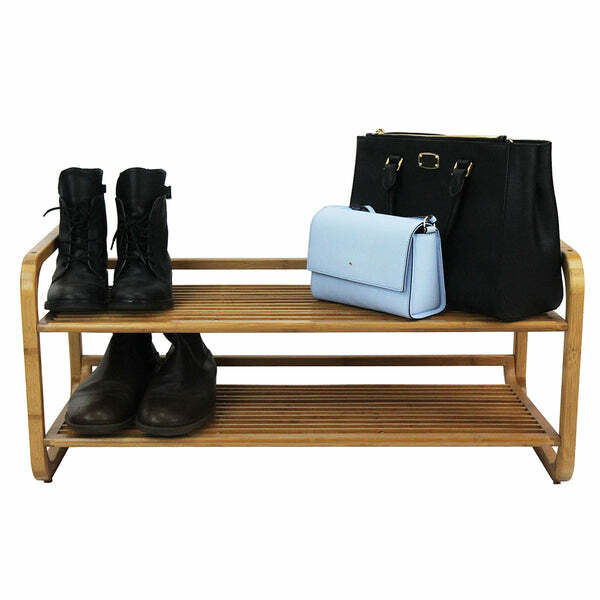 This 2-tier shoe rack holds shoes on each level and keeps your shoes neat and tidy. 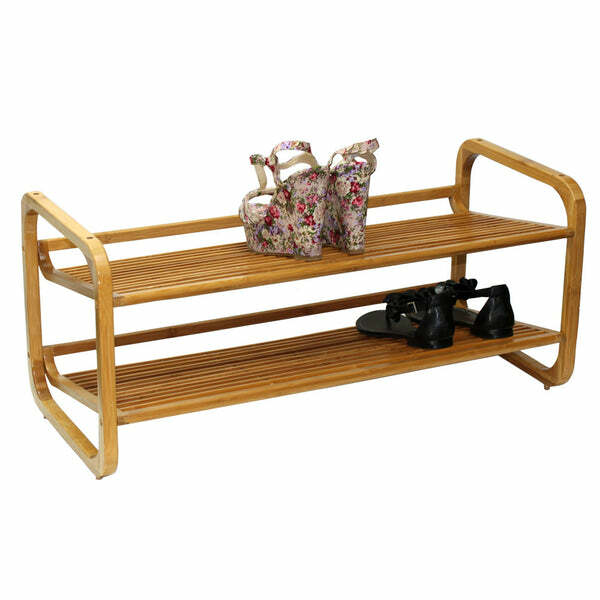 This is a perfect accessory for the entryway and for keeping shoes off the floor. 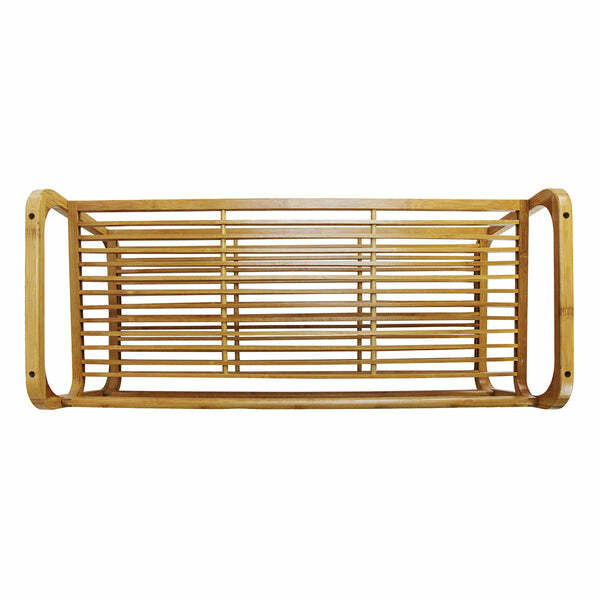 Made of carbonized bamboo, a fast-growing material that reduces environmental impact, this shoe rack has a modern look that will never look outdated. 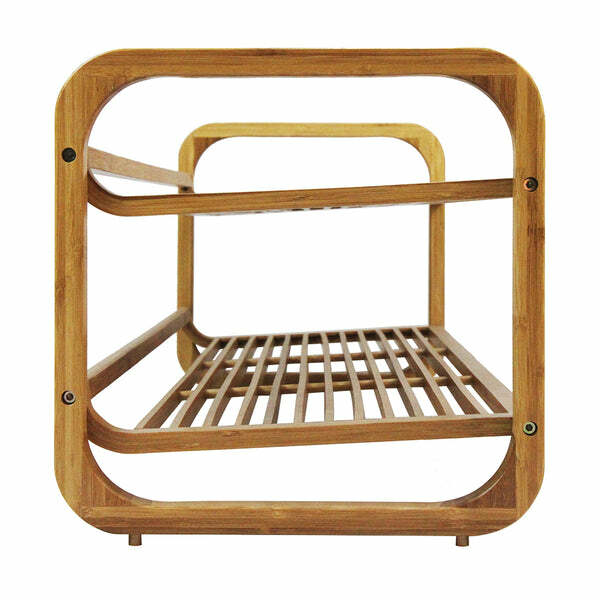 Unlike traditional enclosed shoe cabinets, the open slats on each tier here allow air circulation between your shoes. 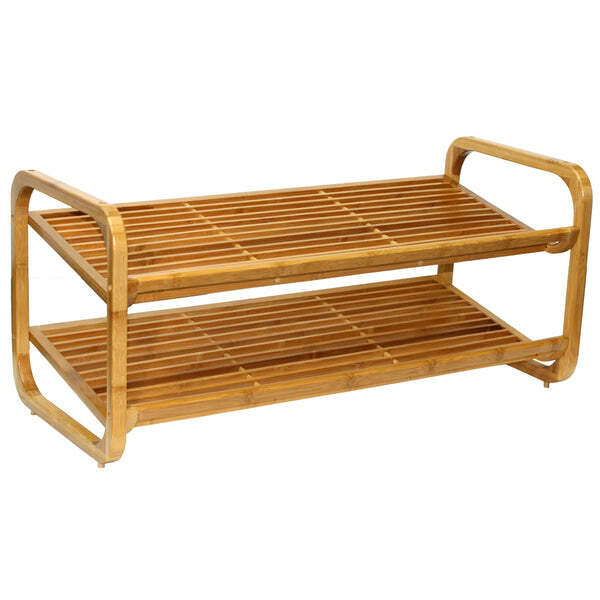 It features rounded corners, slatted shelves, and an adjustable design that allows shoes to rest on a flat or angled surface. 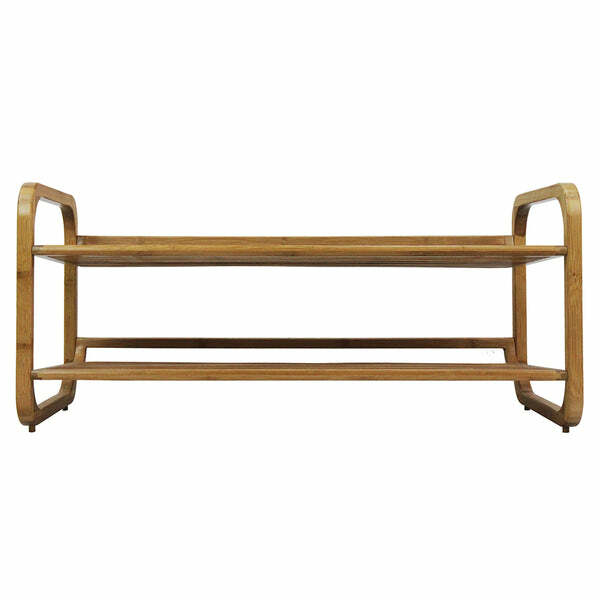 The two arches on each side make transportation easy around the house. 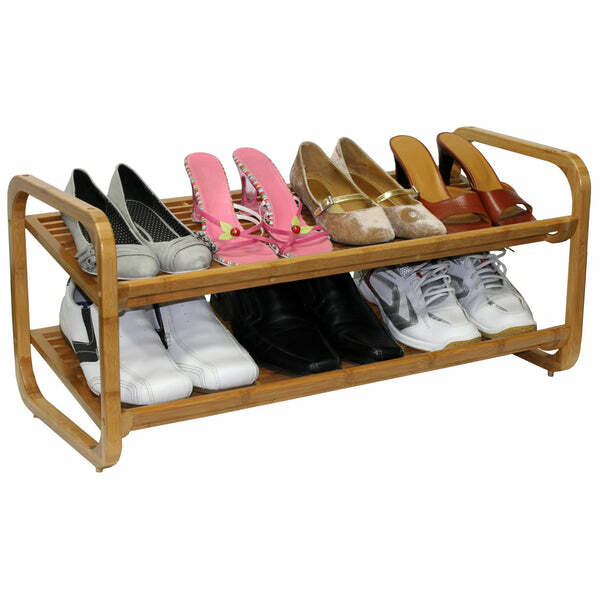 The 2 tier shoe rack holds approximately 6 to 8 pairs of adult-size shoes. 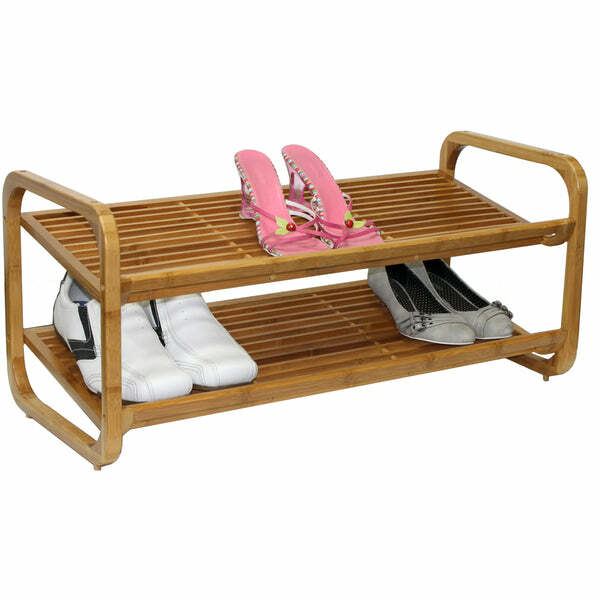 This shoe rack is easy to clean by using a damp cloth. This also comes in a three tier version. Easy assembly required and hardware included. 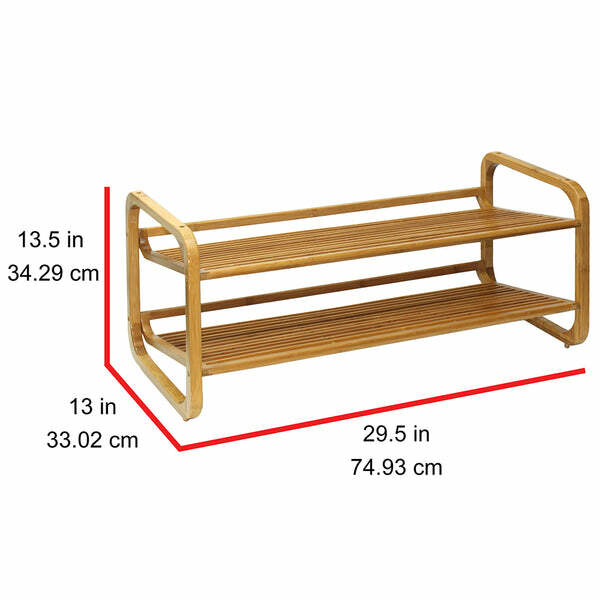 Measures 13 D x 29.5 W x 13.5 H inches. Easy assembly required and hardware included.